Greetings from Blessed Sacrament School! It is with great pleasure to inform you that Blessed Sacrament School is committed to teach students to become future servant leaders, faith filled disciples and enriched citizens of our community. It has been a must for those who have wanted educational excellence and a joyous learning experience for their children. Our mission is to help prepare today’s child with their God given talents to become tomorrow’s responsible and successful citizens. With today’s dynamic and rapidly changing society, our teachers are prepared to expand our students’ development of skills, knowledge and abilities with the use of technology in the classroom. Blessed Sacrament School is home to 295 students, grades PK3—8th grade. It is accredited by the Texas Catholic Conference of Bishops Education Department in cooperation with the Texas Education Agency. The school also holds membership in the National Catholic Education Association and with Advance ED, the organization of SACS-CASI, Southern Association of Colleges and School Council on Accreditation and School Improvement. 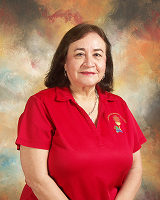 Blessed Sacrament School is the only parochial school in Laredo and is managed using Principal/Pastor administrative model. Students are provided the opportunity to attend Mass weekly and serve as lectors, altar servers and gift bearers. I invite you to visit our school for an individual tour. You may reach me at 956-722-1222 or ssantos@bsacramentschool.com﻿. Blessed Sacrament School provides its students with opportunities for growth in the following aspects of human development. Its focus is on the individual person's spiritual, moral, intellectual, social, cultural, and physical development. In the Catholic School, students and teachers are drawn to proclaim the Gospel message to unite in worship, to respond to the needs of the community through fellowship and social justice, and to serve all people through the sharing of their spiritual gifts and temporal goods. The truly successful Catholic School student is not necessarily one who is successful in every endeavor, but one who accepts Christian responsibility for fulfillment of personal potential and shares these gifts with others. Greetings from Blessed Sacrament School! It is with great pleasure to inform you that Blessed Sacrament School is committed to teach students to become future servant leaders, faith filled disciples and enriched citizens of our community. It has been a must for those who have wanted educational excellence and a joyous learning experience for their children. Our mission is to help prepare today’s child with their God given talents to become tomorrow’s responsible and successful citizens. With today’s dynamic and rapidly changing society, and accumulation with new knowledge and areas of practice, our teachers are prepared to expand our students’ development of skills, knowledge and abilities with the use of technology in the classroom. I invite you to visit our school for an individual tour. You may reach me at 956-722-1222. Be three (PK3) or four (PK4) years old by September 1st of that year for Pre-Kindergarten. Be five years old by September 1st of that year for Kindergarten. Be six years old by September 1stof that year for First Grade. 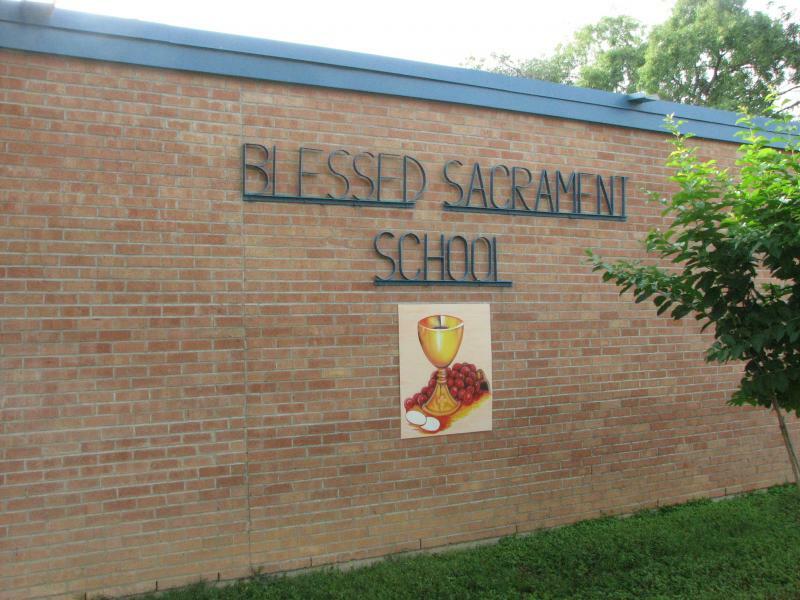 First year students to Blessed Sacrament School will not be allowed to participate in instruction if immunization records and required documents are not on file and complete. Previously enrolled students must also have all records up-to-date in order to receive services. Any student with incomplete immunizations will not be allowed to remain in school. When records are up-to-date students may return for instruction. Report Card, academic records from previous school, if applicable. Monthly tuition is paid August through May of each year. August tuition is due based on the payment plan chosen. Tuition is payable ACH debit or F.A.C.T.S. No student will be issued a nine weeks’ report card or any awards of recognitions if tuition or any other fees are outstanding at that time. $475.00 per child per grade. This fee is paid once a year, and is due on the first day of school. PTO Fundraiser: All families must participate in the annual PTO Raffle Fundraiser. The $250.00 amount must be paid in full by the due date. Deadline to be determined by PTO Officers. Each family will receive 50 raffle tickets worth $5.00 each and must sell tickets or purchase themselves. Chocolate Fundraiser: Each family will be given 2 boxes of chocolates to sell. The total vaule is $120.00.